In your own time, when you want. Including both serious and recreational competition. Permanent Orienteering Courses are a great way to get outside and go orienteering at a time and place that suits you. Courses offer a huge range of variety, from urban courses in city centres to rural routes through beautiful scenery. They are on your doorstep or further afield helping you to discover new places. Whatever your level of experience and fitness, there are courses to suit you. A colour coding system makes it easy to find a course that is right for the level of challenge you are looking for. More information on the colour coding system can be found here. Whether it's a walk with the family, exploring the area whilst on holiday or simply just adding variety to a training run, Permanent Orienteering Courses can help you explore. To find out more about Permanent Orienteering Courses and how to get the best from them check out the video – it explains all you need to know!! Activities are organised non-competitive orienteering sessions ranging from regular club training to Xplorer, the perfect outdoor activity for young families looking to get into orienteering. Club activity sessions are organised by local orienteering clubs and you can find details of the orienteering activities close to you by using the ‘Find an activity’ link below. The map enables you to search for events near you taking place. 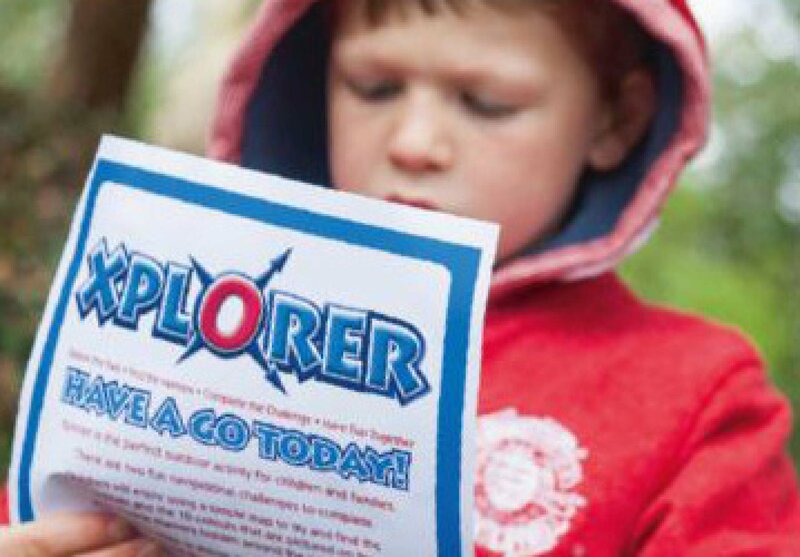 Xplorer is a family-friendly fun navigation challenge that is educational and gives children a sense of adventure as they explore the park to find the markers. It involves a healthy mix of physical activity and decision making that the whole family can enjoy together. Using a simple map, the aim is to find a number of markers that are located around the park. At each marker, children need to identify what is pictured and enjoy learning a fun fact to tell their friends. Older children will have fun competing against their friends or other family members whilst younger children will enjoy the excitement of successfully finding the markers. No previous experience of map reading is needed, and parents are encouraged to join in the fun! Xplorer activities are listed here. Events are a great place to start orienteering with a range of courses designed to suit all ages and abilities. Click find an event to find an orienteering event suitable for you. There are four types of orienteering events from Local, Regional, National to Major Events. Major Events are national and international competitions such as a British Championships, National events are high-quality competitions for people wishing to attend high-level competitions, Regional events attract participants from around the local Region and Local events are usually aimed at participants in a 'localised' area such as a town park. Local events are ideal for newcomers. Orienteering Events are organised by local orienteering clubs and you can find details of the orienteering activities close to you by using the Find an event link below. If you know which event you are going to, you can always contact the event organiser who will happily answer any questions you might still have. Many local orienteering clubs run regular coaching sessions, often at mid-week ‘club nights’, or on weekends. UK Orienteering Clubs are listed here. There are also University Orienteering Clubs across the UK. University Orienteering Clubs are listed here. Want to know more about orienteering? Check out the ‘Newcomer’s Guide’ here. Are you interested in orienteering, but don’t know enough about the sport? This set of Frequently Asked Questions will help you find out more. If you want to talk about how you can experience orienteering or how you can get involved, click here to find your local club or contact the National Office on 01629 583037.